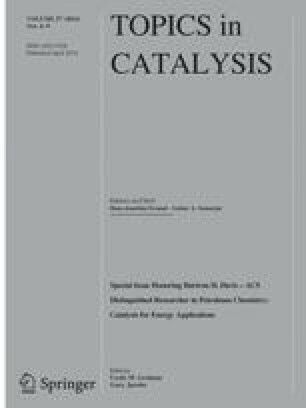 The effect of the reaction conditions and catalyst composition on the oxidation of 1,4-butanediol has been investigated. We have shown that gold and gold–palladium nanoparticles supported on titania can be effective catalysts for this oxidation reaction. We have demonstrated that the formation of butyrolactone, methyl-4-hydroxybutyrate and dimethyl succinate follow a sequential reaction pathway. We have also investigated the role of acid/base on the reaction and have shown a beneficial synergistic effect of alloying gold with palladium on both the conversion and selectivity towards dimethyl succinate.